September 1940 and Hitler’s Blitzkrieg attacks on Britain are in full swing. 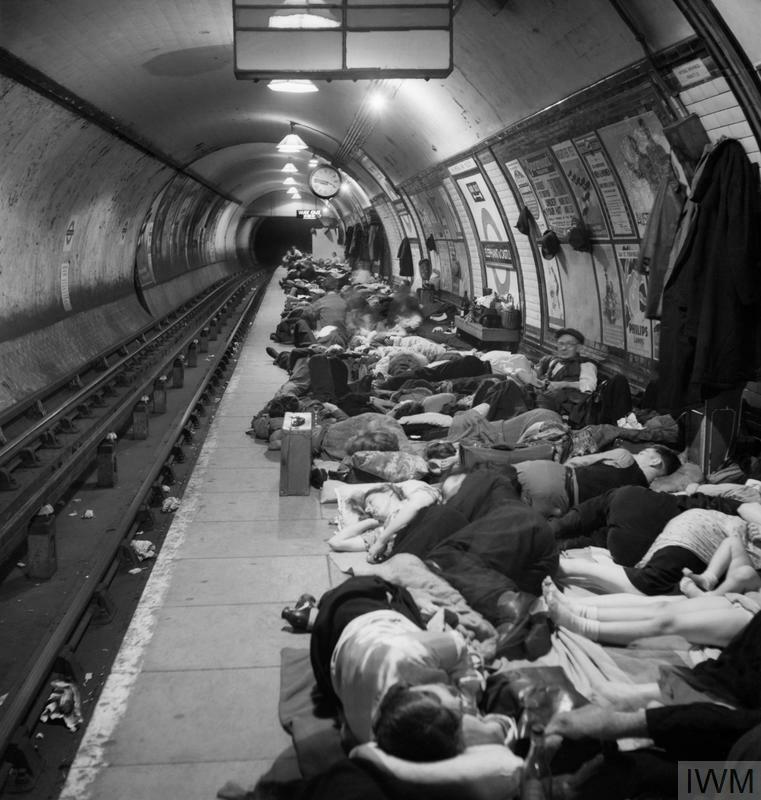 Civilians take shelter in Elephant and Castle Underground Station in south London during an air raid in November 1940.
friend and the possibility that she might be falling in love again. The American Agent is number 15 in a series of books centered on the life and investigations of Maisie Dobbs but this was the first book I’ve had the opportunity to read. Jaqueline Winspear elegantly weaves subtle but relevant plot points and character insights from previous novels into this book in a way that gives the Dobbs newbie just enough back story to feel connected while not distracting from the current narrative. I got the sense however that there is much more that I need to get to know about Dobbs and I’m curious to explore the other books in the series to get the full depth of character. As a history nut, the WWII backdrop is what initially attracted me to this book but it was the multi-layered plot of deception and political trickery that kept me there. The American Agent has been a great first encounter with Maisie Dobbs and it has left me wanting more; wanting deeper insight into the experiences and events that shaped her life to this point. I can understand why this series of books has amassed an almost cult following on the basis of the Dobbs character and I’m keen to go back and begin the journey.